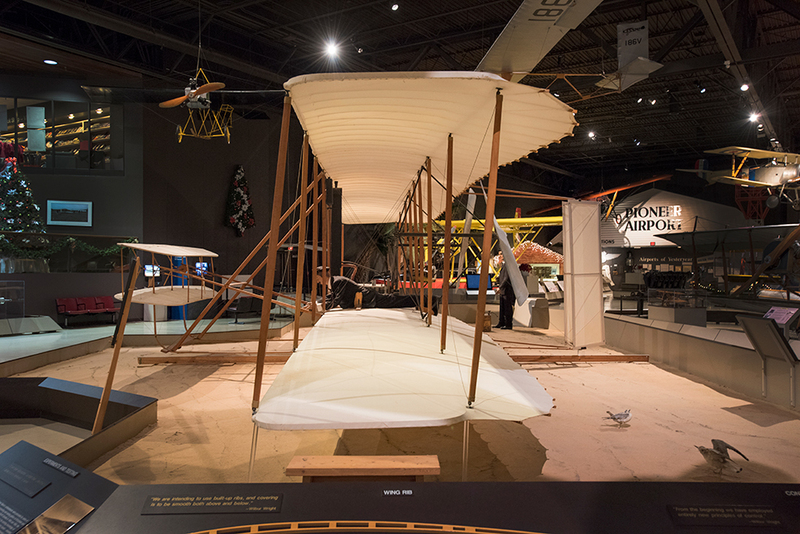 The full-size replica of the Wright brothers’ historic 1903 Flyer — the first true airplane — is a centerpiece in the EAA AirVenture Museum’s collection. 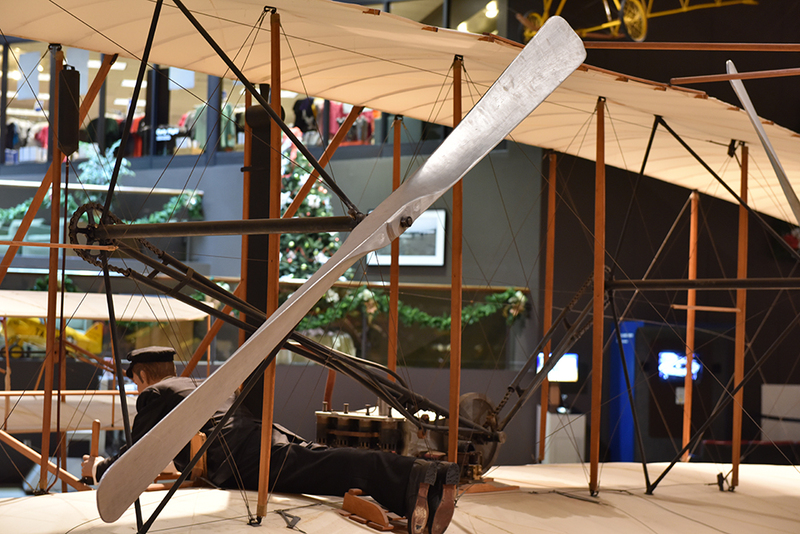 It is one of the first aircraft a visitor sees upon entering the main gallery. It stands as a tribute to the birth of aviation and to the accomplishments of Wilbur and Orville Wright and their mechanic, Charlie Taylor. This replica was built jointly by EAA and Blackhawk Technical Institute of Janesville, Wisconsin, over a period of 10 years. 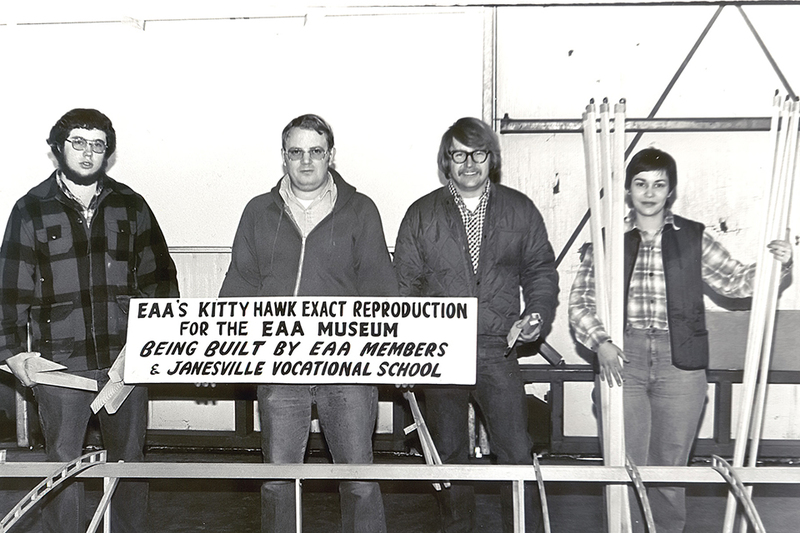 Various components were built at Blackhawk, in the EAA shops, and by EAA volunteers around the United States. Final assembly and much of the detail work were carried out at Blackhawk by students in the aviation mechanics program. 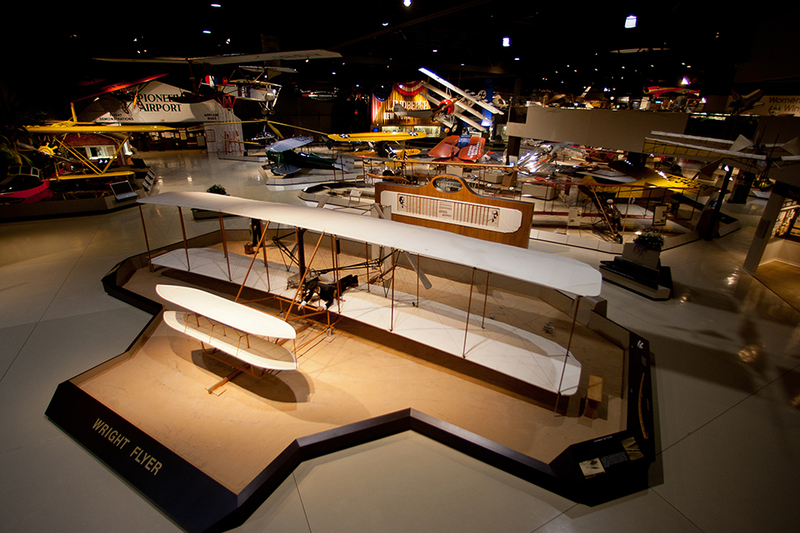 The replica was completed in 1978 — the 75th anniversary of the Wrights’ first flight — and was placed on permanent exhibit in EAA’s museum. How Accurate Is the EAA’s Replica Flyer? The simple answer is, “as accurate as it could be at the time.” The Wrights never drew complete plans of their 1903 Flyer and kept many of its details secret to protect their patents. The original Flyer was wrecked on the ground by a gust of wind on December 17, 1903, soon after four successful flights. The wreckage was packed up and taken back to the Wright Bicycle Shop in Dayton, Ohio. There, it remained in storage until 1928, when Orville rebuilt it for display in the Science Museum of London, England. The aircraft was returned to the United States in 1948 and put on display in the Smithsonian Institution. Today it is in the Smithsonian’s National Air & Space Museum in Washington, D.C. It is not clear how accurately Orville restored the Flyer in 1928. 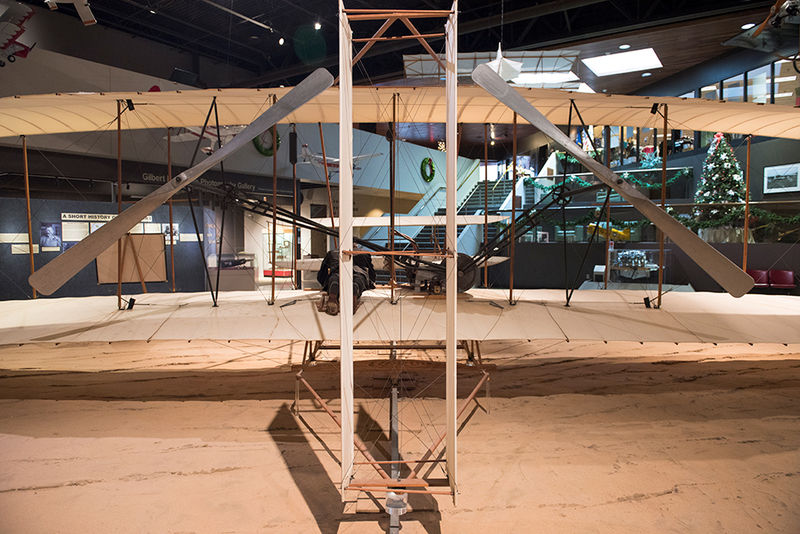 Parts of the 1903 Flyer, including the engine, were used on other Wright aircraft. And there are features of the Smithsonian’s Flyer that historians and aeronautical engineers have doubts about. Were they original or were they repairs made in 1928 to an aircraft that was not intended to fly again? EAA’s replica was built from plans drawn from the Smithsonian’s Flyer. The true degree of accuracy of those plans may never be known. 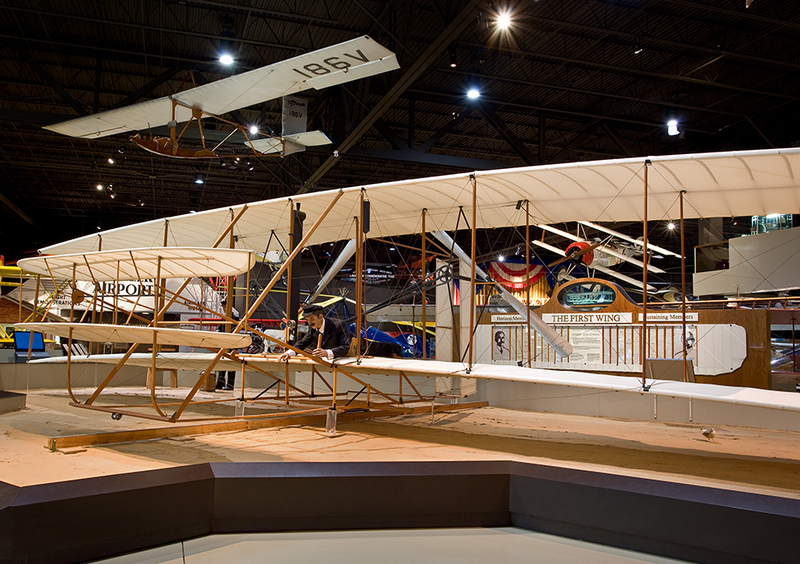 Several teams attempted to “reverse-engineer” the 1903 Flyer for the 100th anniversary of powered flight in 2003. They encountered similar gaps in our knowledge about the original Flyer. 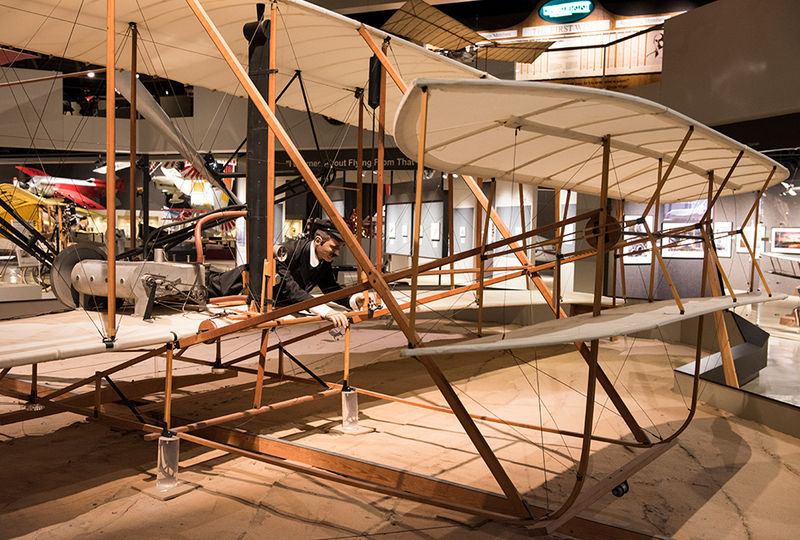 The EAA museum’s replica, the Wright Experience reproduction and the other 100th-anniversary replicas are accurate in all of their most important features. 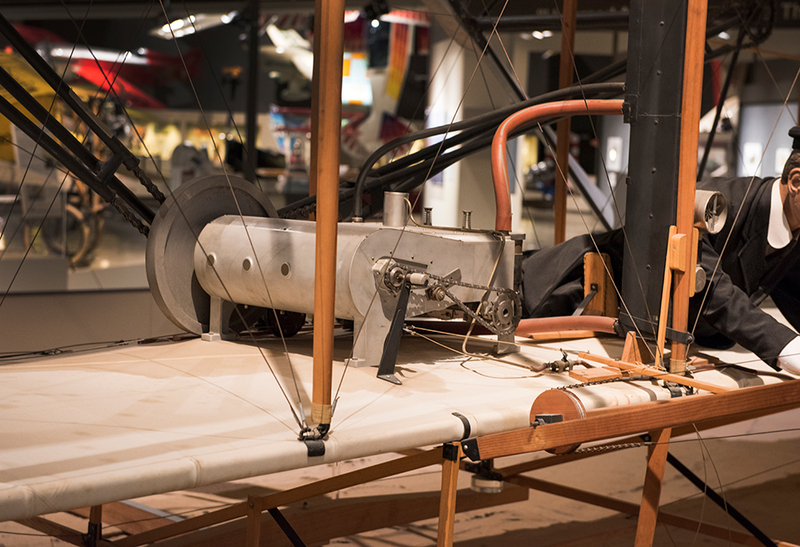 Above all, they highlight the scientific and technological challenges and achievements that led to the first true airplane. Wilbur and Orville Wright were bicycle manufacturers and mechanics by trade. 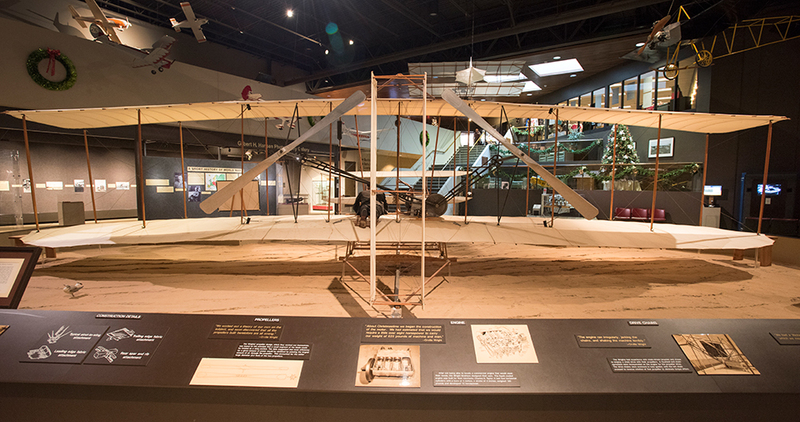 Their quest to be the first to fly began in 1899, when Orville wrote to the Smithsonian, asking for information about aviation. Just four and a half years later, they found success on the wind-swept dunes of Kitty Hawk, North Carolina. They achieved their goal without corporate or government subsidies. 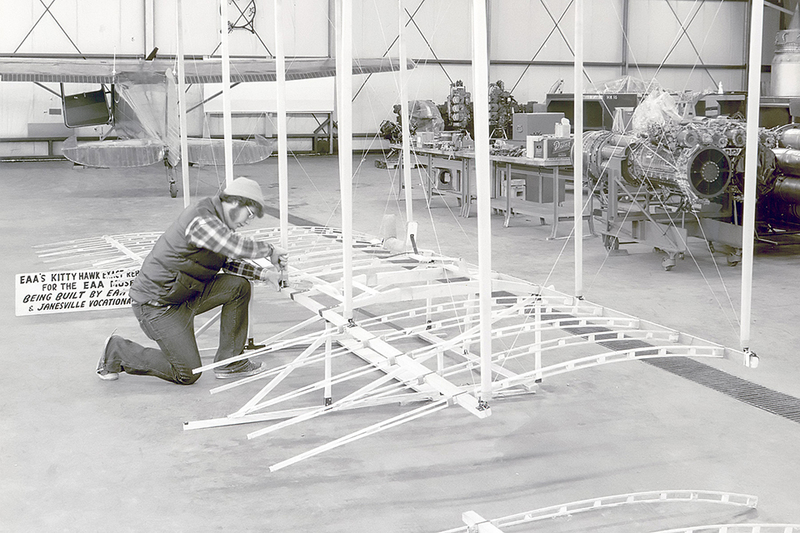 They were the first homebuilders and their 1903 Flyer was the first truly successful heavier-than-air experimental aircraft, and their spirit lives on in EAA to this day.